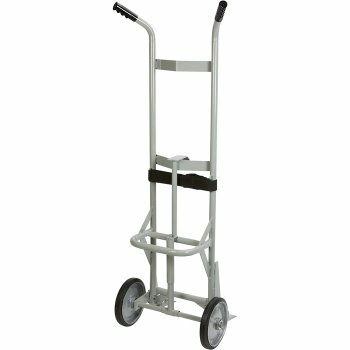 This Drum Hand Truck with Short Fork is designed for use with steel drums and includes a belt for securing loads. KD fork is easy to change, and 10in. 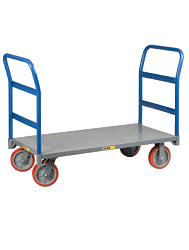 solid wheels roll smoothly for easy maneuvering. 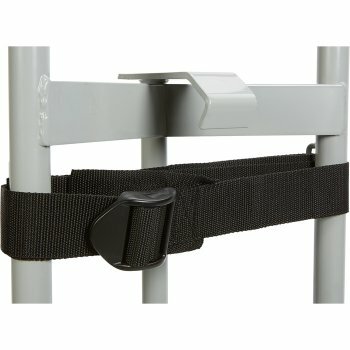 Spring-set design saves you energy when pressing down, and chime hook is conveniently adjustable. Replaceable drum shoes deliver economy. Powder-coat finish resists rust. 22.in.W x 18.5in.D x 63.3in.H. 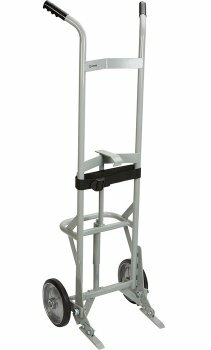 Dimensions 22.in.W x 18.5in.D x 63.3in.H.